AIDA64 Extreme Edition is the most convenient and powerful system information tool and hardware monitor. It could diagnose and give detailed information of all the computer devices with high accurate hardware detection capabilities, including information on motherboard, operating system, server, display, multimedia, storage, network, directx, devices, software, security, config, database, etc. AIDA64 Extreme Edition is also an excellent performance benchmarking tool to benchmark CPU, system memory and disk drives. Run AIDA64Portable.exe to launch AIDA64 Extreme Edition Portable. 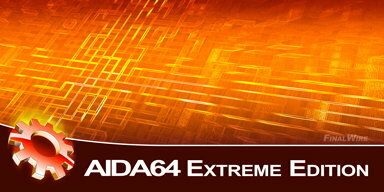 The current version is the AIDA64 Extreme Edition 1.85.1600 Giveaway. This entry was posted in System Utilities and tagged AIDA64, AIDA64 Extreme Edition, cpu benchmark, CPU Monitor, Disk Monitor, Memory Monitor, Network Monitor, pc benchmark, pc diagnostics, system profiler. Bookmark the permalink.